Solo: A Star Wars Story is the second spin-off based in the Star Wars universe. Unlike the first film, Rogue One, that was mainly based on characters most people never heard of, Solo had the enormous task presenting a younger version of Han Solo. Han is one of the most beloved characters in the Star Wars universe, and Alden Ehrenreich does a good job of channeling his inner Harrison Ford in the film. Donald Glover also shines as Lando, but if you want to check out our full movie review, head over here. 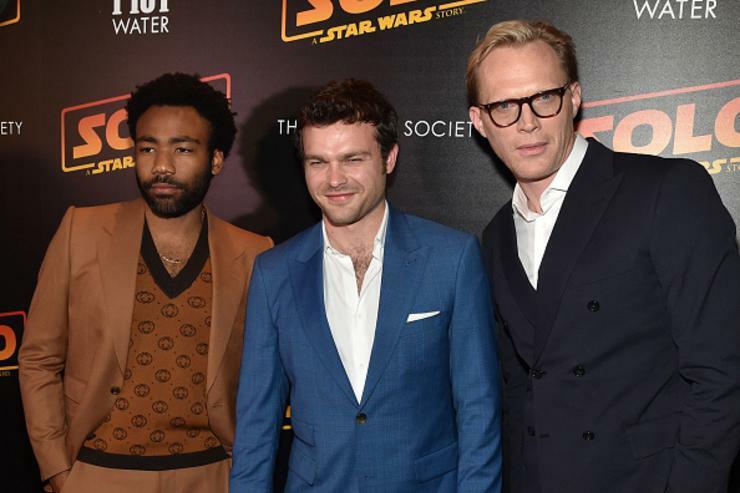 Solo was projected to kill the box-office and rake in $130 million to $150 million in North America. According to CNN, those numbers were adjusted on Friday to $105 million to $115 million. It is estimated that Solo will actually pull $101 million domestically for its four-day weekend opening which includes the Monday holiday. Overall, Solo made $148 million worldwide. Although a $100 million weekend is nothing to scoff at, it is the lowest opening for a Star Wars film since Attack of the Clones. That's not great company. Solo is the most expensive Star Wars film ever created, costing Disney and Lucasfilm $250 million. Hopefully, the Han Solo origin flick can recuperate its budget within the next two weeks.